Tessa Bide, ex-contemporary and tap student at BYD, is now a professional touring dancer and physical theatre performer. 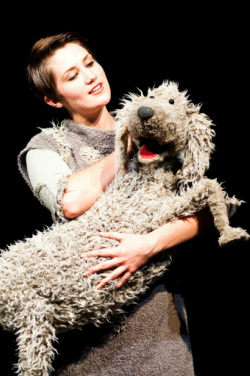 Soon to be based in Bristol, her recent work has included a UK tour with Niki McCretton's one-woman physical theatre production 'Muttnik: The First Dog in Space'. She is now writing her own pieces combining her dance training with physical theatre and puppetry including The Tap dancing Mermaid and Arnold's Amazing Adventure. See more information on her website. Julio started dancing from a young age and joined Bridport Youth Dance aged 12 years. Alongside his passion for dance with BYD Julio also trained intensively in circus and gymnastics and became the UK's first male rhythmic gymnast. He has danced at the Royal Albert Hall and performed trapeze, silks and circus in London and the South West. As a young boy Julio always dreamed of being in the circus. Aged 13 he won Cirque Bijou's youth circus award and later performed with the John Lawson circus in 2010 and 2011. 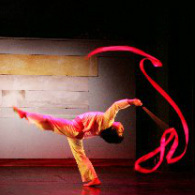 ​Julio is now an assistant teacher with BYD and for the boys dance programme. 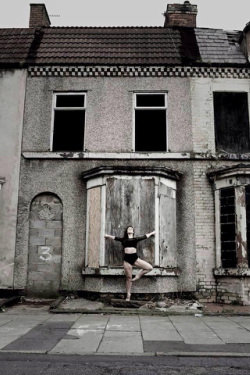 Ex-contemporary student of BYD, Rebecca has recently graduated with a first class BA Degree in Dance from one of the country's leading Performing Arts schools, The Liverpool Institute for Performing Arts. Trained in Contemporary, Ballet, Jazz and Tap as well as acting and musical theatre classes Rebecca has a strong interest in choreography. Rebecca returns on a regular basis to teach and choreograph for BYD. Rosa Van Hensbergen studied contemporary dance at Bridport Youth Dance. While at Cambridge University, where she studied English and continued her interest in dance she became 2010 president of the Cambridge University Contemporary Dance Workshop. She has researched extensively into the Japanese avant-garde performance/dance form Butoh having gone to Japan on a DAIWA scholarship for 18 months to learn Japanese and work at the Tatsumi Hijikata dance Archive. Harry started to dance with BYD aged 10 years of age. He was inspired by the BBC's advert showing Stomp tap dancers on the roof tops. Harry has progressed to be an outstanding tapper and talented member of Tapistory tap company having also been accepted into the company Tap Attack and at a number of London dance colleges. Having graduated from Bournemouth University Harry has recently been an assistant teacher for the Bridport Youth Dance tap programme. Harry is about to enter his second year at Stella Mann college after receiving a scholarship. Emily started to dance at Bernard Gale's School Of Dancing aged 2 years. She joined BYD aged 7 years and has performed in all the productions since All That Jazz in 2005. She is a talented member of the acclaimed tap company Tapistory , having performed with them across the South West. Recently graduated from Bournemouth university Emily is currently continuing to share her love of tap as an assistant teacher for the Bridport Youth Dance tap dance programme. Curtis was talent spotted at an early age by Anna du Boisson, his Principal at West London School of Dance. It was here that Nikki Northover taught him tap. Whilst finishing his training, he attended a Summer School at Millennium Dance 2000 in London and was offered a Scholarship. Curtis graduated from Millennium and was invited to join the cast of Hairspray in the West End. Other credits include Carmen at the O2 Arena, Chess, Harry Potter Films, Darcey Bussel's farewell show, Vodafone Commercials, The Olympics closing ceremony, Heart beat of Home ( by the makers of Riverdance), Monty Python and as a presenter for Channel 5s Milkshake. Curtis is currently perform in The Lion KIng in the West End. Curtis performed in BYD's Swing 64..
Dan trained at The West London School of Dance with Anna Du Boisson where he excelled in all dance forms. It was at WLSD that he was taught tap by Nikki. He later gained a place at Millennium Dance 2000 and on graduating performed in Sinatra, On The Town and The Wizard of Oz in the West End before joining Adventures In Motion Pictures. Dan has performed in Matthew Bourne's The Carman, Swan Lake, Edward Scissor Hands, Nutcracker, Play Without Words and Sleeping Beauty with New Adventures. Danny is the male swan at the front of this image. Having trained at The West London School of Dance talented dancer and singer Chrissy received a full scholarship for Laine's Theatre Arts school. Chrissy is currently performing in An American In Paris. Chrissy together with Emma Parsons made guest appearances in Pulse, Release The Rhythm and Flux and attended The New York City festival with Nikki in 2009. Rex Wheeler began his training at the age of 12 with Anna Du Boisson, furthering his training at Elmhurst Ballet School and The Royal Ballet School. As a student, Rex performed both nationally and internationally with the Birmingham Royal Ballet in Raymonda, The Firebird, Petrushka, Beauty and the Beast and Romeo and Juliet. Rex joined the Slovak National Ballet in 2009 where he danced works by Jiří Kylián, James Kudelka, Mário Radačovský addition to the classics. This is his third season with Sacramento Ballet and since joining has danced soloist and corps de ballet roles including works by George Balanchine, Trey McIntyre and Mathew Neenan. Rex has choreographed four works for Sacramento Ballet's Beer and Ballet program in 2011 and 2012 and created 'Sanguineous Rush' and 'Allegro con fuoco' for Utah Regional Ballet. Greg graduated with a BA (Honours) in musical theatre from Guildford School Of Acting. Greg trained at The West London School of Dance where he studied ballet, tap and street dance. It was at WLSD that Nikki taught Greg tap dancing. Theatre credits include playing Michael in the original west end production of Billy Elliot, Caroline or Change (The National Theatre), A Little Night Music (Yvonne Arnaud Theatre, Guildford) and dancing in The Nutcracker at The Bloomsbury Theatre. Tv credits include Casualty and being a Chico dancer. Greg was the lead in How To Succeed In Business Without Really Trying (Yvonne Arnaud Theatre) and performed in the UK tour of Barnum and Mary Poppins. Greg is currently performing in 42nd Street at Drury Lane. Greg made guest appearances in BYD's Pulse and Release the Rhythm. The following students have gone on to study dance at a number of leading dance schools and colleges: Laura Kate Thomas (Performers), Ed Whitehead (Laines Theatre Arts followed by Performers), Jodie Glover (Italia Conti) , Nat Leppard (London Studio Centre) and Cat Lowndes a BA in Dance and Education at Bath University.